You start out by funding a CD for each rung (i.e. a $5,000, 5-year ladder would have $1,000 in each maturity). Then, after a year, you can keep the ladder going by buying another rung at the longest maturity (i.e. the 5-year ladder would buy another $1,000 5-year CD after one year has passed). Fidelity has a CD ladder service where they will build a CD automatically for you using brokered CDs from their inventory. They will even re-invest, or “Auto Roll”, your maturing funds into a new rung if you wish. The service itself is free, but the CD rates aren’t necessarily the absolute highest available, especially when you include credit unions. Alternatively, you could move around your own funds and build your own ladder (DIY) using certificates from various banks and credit unions. Finally, you could also buy Treasury bill and bonds of similar maturities, as they are also backed by the government so you can be confident that you’ll get your principal back. Fidelity Auto – Fidelity will construct using the highest rates in their brokered CD inventory. DIY – Picking the highest rate at any FDIC or NCUA-insured institution that is open to anyone nationwide. Treasury – Buying individual Treasury bonds on the secondary market (bond desk, alternative rates). The chart shows that currently DIY you would gain an average of 0.40% annually on your cash invested over the automatic Fidelity service. 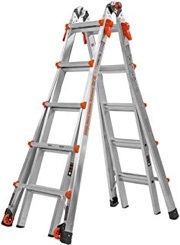 If you had a $5,000 ladder, that would be $20 in extra interest per year. If you had a $50,000 ladder, that would be $200 a year. If you had a $500,000 ladder, that would be $2,000 a year. You would have to balance the extra work of DIY with the added convenience of the Fidelity service. This number is only a snapshot and will change over time. Right now, Treasury bonds don’t really offer much of a premium above the top DIY CD rates in this scenario. Even if you had state income tax of 10%, your effective average APY would still only be about 2.8%. That is about break-even with the Fidelity automatic service. This is one reason why I track the top CD interest rates each month. I think you have a math error. The avaerage is 0.4%, not 0.5%. I actually just used the Fidelity CD ladder service myself for some cash funds I have sitting in a Roth IRA account. The service was very simple and easy. I’m assuming your DIY method is going direct to different banks/ CUs? Yes, I was just seeing how much extra interest you could get if you shopped around. Every day would be different, but this time the 3,4,5 year CD were all from the same institution. Splitting up an IRA would be a lot of hassle, though. IMO the long term rates are too close to the short term rates for the long term rates to be worth it. Is this why the yield curve is inverting? I’ve been mostly laddering only 9 month to 14 month CDs, so only very short term. The last time a 12 month CD matured for me it rolled over from 2.0% to 2.8%, almost a 100 basis point jump! There’s no way I would lock my funds up long term for 5 years at those rates with those types of short term rate increases. Or it could be a good time to lock in those long term rates. Depending on what you think about the current economic cycle. If you think we are closer to an end of the cycle and Fed raising rates, then it makes perfect sense to lock in those 5+ years rates. When next recession comes, rates will go below zero, just like in many developed countries in Europe as well as Japan. Then you would have wished you locked in those 5+ years rates while they were comparatively high. Does this argument make sense? Well stated Nick! Jonathan how did you come up with APY of 2.8% if 10% for state taxes. What bracket and what is your formula for this calculation? I just did a quick and dirty calculation. Treasury bond interest is exempt from state and local taxes. So if you pay 10% in state and local taxes, you just divide your treasury interest rate by 0.90 and get the comparable interest rate that IS subject to a 10% state/local tax. Thanks! Since my state taxes are much lower hitting the threshold for DIY vs Treasury is less. I was loading up on short term Treasuries which have a better yield (< one year) vs CDs, counting on subsequent Fed hikes. Last FOMC meeting appears to have been dovish so laddering over a 5 year period is best . I am new to this BLOG and like what I see!! I Currently have a 2 year/4 rung CD ladder via Fidelity spread across 3 IRAs earning 2.6%. I have a brokerage account earning 2%. I would like to do better. Is anyone familiar with the Invesco Bullet Shares fixed maturity ETFs to build a ladder? These ETFs contain hundreds of bonds that all mature toward the end of a given year. At the end of the specified year, all of your money is in cash and the ETF ceases to exist. Very much like a CD. However, they are not FDIC insured and they carry some credit risk. The investment grade bond fund currently pays 15 – 20 basis points higher than comparable duration CDs. They also offer fixed maturity High Yield (Junk) ETFs and Emerging Market bond ETFs. These two have significantly higher yields – 100 -200+ basis points above CDs. I would appreciate any comments on this investment strategy. @Ben I have been familiar with bullet shares formerly Guggenheim. I would like to create a ladder with bullet shares of munis. Invesco has filed for 10 muni ETFs. I need to locate if they are available yet to retail investors? If you know, I would appreciate a link. I have found with increased interest rates the coroporate bullet shares aren’t competitive enough for the risk vs CDs. I just opened an account (thanks to Jonathan) at NASA Fed Credit Union for 15mo 3.2% for CD.